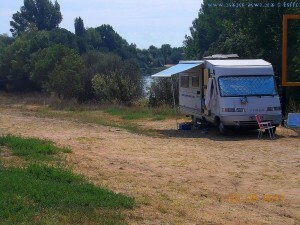 Parking directly at the Río Tormes near the Village Huerta with a little Beach at the River. We asked the Guardian Civil, if they know a Place for the Night, and they told us – here at the River! This Articel was read 566 times! Dieser Beitrag wurde in Countries, Free Camping - Wild Camping, GPS, Spain, Travel-Facts veröffentlicht und mit 37336 Huerta, CampingCar, Castilla y León, Coast, Free-Camping, Freistehen mit dem Wohnmobil, Huerta, Inland, Meer, Motorhome, Parking at Río Tormes - DSA-640, Reise, Reisen, Reisen im Wohnmobil, Reisen im Womo, Reisen in Spanien, Reisen in Spanien mit dem Wohnmobil, Reisen mit dem WoMo in Spanien, Río Tormes, Río Tormes - Spain - DSA-640, Salamanca, Spagna, Spain, Spanien, Spanien – August 2017, Travel, Travel in Spain, Travel with a Camping Car, Travel with a CampingCar, Travel with the Camping Car in Spain, Travel with the CampingCar in Spain, Travel with the Motorhome, Travel with the MotorHome in Spain, Unser Camper, Wild-Camping getaggt.